8Rental endeavors to give a superior chauffeured coach hire in Manchester at extremely affordable & allowable costs. The primary company aims to provide comfortable & pleasurable passenger transportation on Manchester roads. Smooth ride, professionalism, politeness- peak benefits of hiring 8Rental shuttle coaches operated by well-practiced chauffeurs! 8Rental's team includes highly-qualified drivers, well familiar with Manchester destinations & directions. 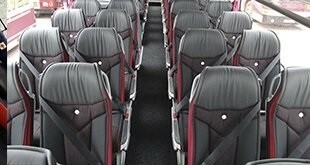 Reserving chauffeured bus services with 8Rental Reservations, you take certainly the ultimate UK's bus supplier! 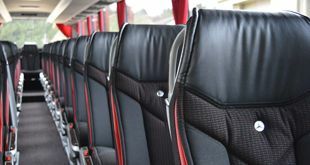 Manchester excellent chauffeurs are entirely tested, licensed & certified to drive 8-22 seat minibusses and 23-82 seats coaches & double-decker buses. The first recorded settlement of Manchester began in Roman times. 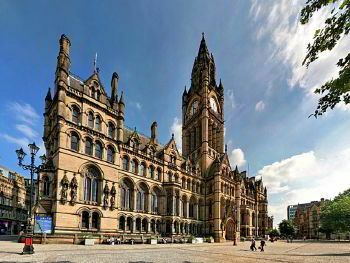 Manchester's often called the "Capital of the North." In the 18th century, it was the world's cotton making capital. Manchester has much art, learning places, businesses providing media, malls & shops. Greater Manchester includes Bolton, Bury, Oldham, Rochdale, Stockport, Tameside, Trafford, Wigan, and the cities of Manchester and Salford. Twin cities: Amsterdam, Saint Petersburg, Córdoba and Chemnitz, Germany. Have you ever visited the Trafford Centre? Coach hire in Manchester opens the door for your discovering of the second largest United Kingdom's shopping center by retail size! The colossal construction, worth £240 million, attracts the tourists all around the planet! For a large group of tourists, it will be the perfect destinations for shopping, dining & entertainment. Economy coach hire in Manchester with chauffeur - Cheap, reliable, appropriate travel solution! Important face-to-face business appointment? Hire an evolutionary designed deluxe top-of-the-range VOLVO coach! A highly-cautious driver will collect your personnel from Manchester Airport & drive to the requested drop off address. Get conditional offer then order your shuttle bus service confidently! Hire a bus in Manchester with a driver!